Clicktale is a digital experience software that helps visualize website visitors’ behavior and increase conversion with the help of heat maps and data analytics. Its key features include browsing session replays, meta statistics, and customer experience center. 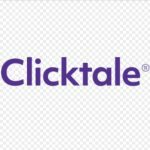 In this article, we cover Clicktale reviews and pricing. Ready to get started? Request a meeting. As of this writing (March 13, 2019), there are not a lot of positive Clicktale reviews online. However, some users said the tool makes it easy for them to search and analyze customers’ behaviors online via heatmaps and session recordings. They also mentioned that it helps them identify gaps and opportunities within their website to drive business insights. 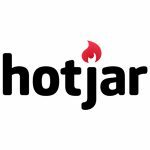 There are not a lot of negative Clicktale reviews as of this writing. Some users wished though for an update on its interface. They also said that both mobile and desktop versions should be shown side-by-side for an easier experience. Clicktale pricing is not readily available on their website. However, according to a third-party site, it offers three paid plans: Basic ($99 per month), Silver ($290 per month), and Gold ($990 per month). The main difference between the plans is the number of pageviews recorded every month. Interested users may contact Clicktale’s sales team to know more about its pricing details. Ready to get started with Clicktale? Request a meeting. 6 Best Heatmap Software: Heat maps help businesses visually understand how website visitors interact with their site. Heatmaps inform website design, optimization, and customer service decisions, and supplement analytics software with qualitative traffic analysis. In this guide, we analyzed all major heatmap software, and considered price, features, and ease-of-use to determine our six top picks and best overall option. 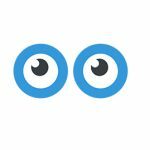 Clicktale captures every mouse move, click, scroll, taps, zooms, and tilts that a visitor makes within a web page (desktop or mobile), and then sends this information back to its servers in a highly compressed package. When the user logs in to Clicktale account, visitor recordings, visual heatmaps and other behavioral reports will be shown. Which browsers do Clicktale support? Clicktale supports recordings of Chrome, Internet Explorer, Firefox and Safari on all major operating systems. Have you read these Clicktale reviews and are still not sure if it’s the right fit for you? Read our reviews of all top heatmap software or check out one of these Clicktale competitors.